Demographics: Shows the age, gender and income of people. Demographics can also tell us what products people buy and how often they buy them. Psychographics: Shows why people do what they do based upon the lifestyle and patterns of their generation. Psychographics also tells us how we can get them to do it for us. 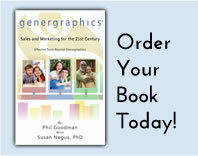 Genergraphics®: Genergraphics can do what psychographics does based upon mindset, plus it can tell what influence one generation has or does not have on another generation. 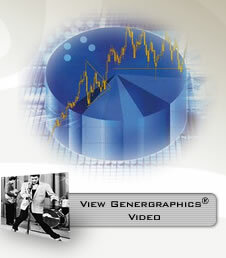 Genergraphics allows us to market to one generation without alienating another.